Clock Boy is looking less genius after his invention is re-invented in 20 seconds on a YouTube video yet he is still capitalizing on the notoriety of his 20 seconds of fame. 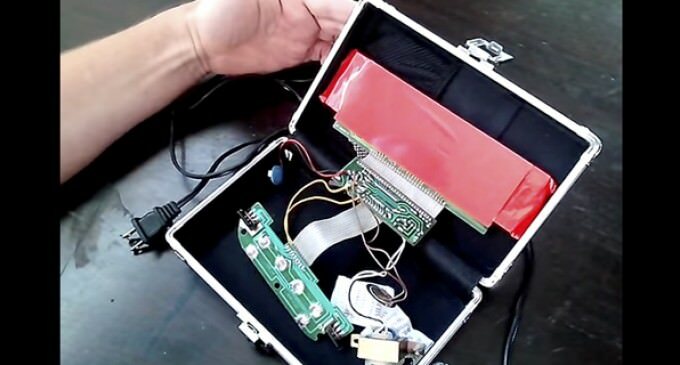 Not only did Ahmed Mohamed plagiarize his home-made clock by taking apart Radio Shack clock, circa 1970s, and a pencil box, but also intended to cheat by telling his engineering teacher that he had invented this clock. Go to page 2 to watch the video that debunks Ahmed’s claim. Just one more thing to gauge how stupid the public is. What do you mean, how stupid the public is? Why do you think that? 8) We the non-Muslims sworn enemies of Muslims and Islam. (Koran.4;101). Try getting on a Plane with that in your suitcase or duffel bag . Security Gate Seven !!! I never read anywhere where the child said he had invented a clock. Clocks were invented many, many years ago, people. He said he had made a clock. Yet he has never attempted to pick it up from irving pd, irving pd said can and will be released to his parents. If police can contact the family, they moved out of state.